It seems No Man's Sky has won over the hearts of Twitch users with its new update. 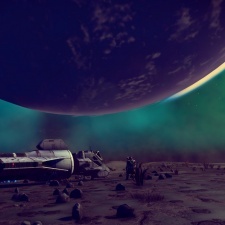 No Mans Sky Next is a free update that has provided owners of the game with a whole host of new content, similar to Hello Games' original scope for the title. As such, players old and new have flocked back to the game, with streamers at the helm. This month was the biggest one ever for the space exploration title on Twitch - generating 4.3 million hours of watch time. For context, No Man's Sky only generated 183,000 hours on Twitch back in November 2016, after dropping its first update. The game is sitting at number 24 in Twitch's most viewed. While it's still not as popular as some titles, its accumulated more views this month than it has since it's launch back in August 2016. It'd only take one of the bigger streamers to propel No Man's Sky's numbers into the top five. In addition to it's new found Twitch presence, No Man's Sky also has 54,810 concurrent players. A drop off from the 212,620 it had at launch, but considering the PR nightmare the title had, it's quite the comeback.